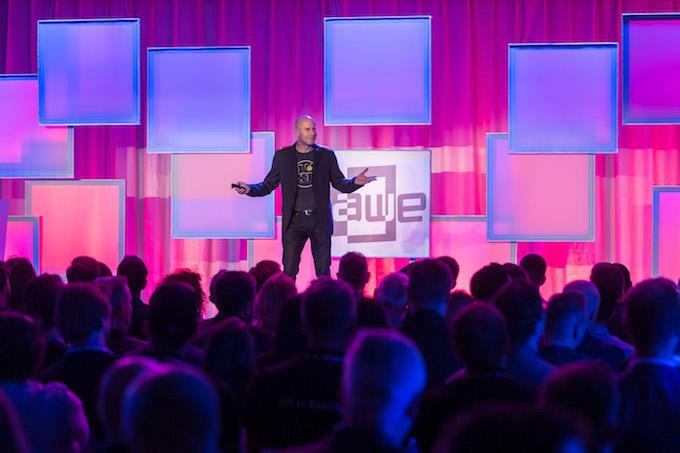 AWE kicked off its third annual European conference highlighting continued XR industry growth. Ori Inbar, Founder and Executive Producer AWE, and Partner in the AR focused VC Super Ventures, started off the conference with his evangelist rallying cry: “Go XR or Go Home!” Of course, since most of the audience is from elsewhere (I’m told they represented over 50 countries), Ori should have said “Go XR and go home.” Inbar says the ultimate goal of AWE is to inspire one billion active XR users by the year 2020. 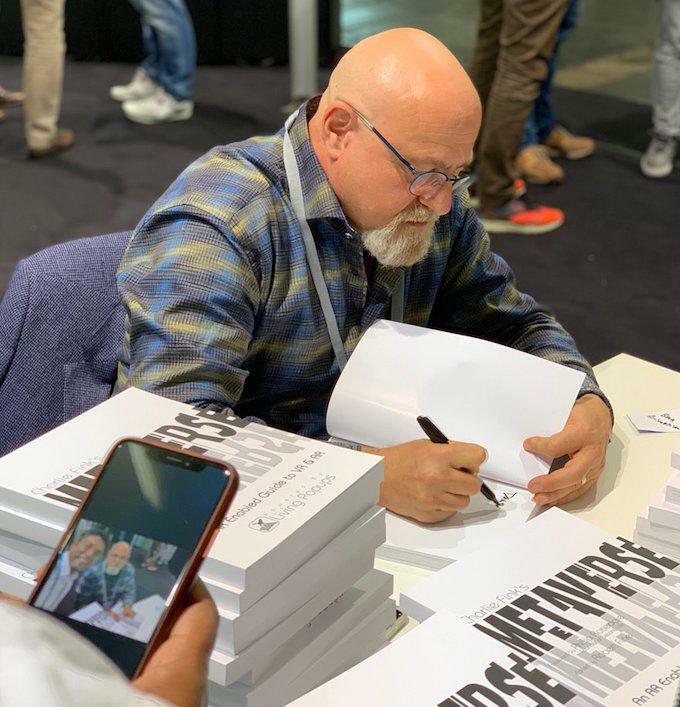 “All signs point to rapid XR adoption by the Fortune 1000, big bets by tech, manufacturing and consumer giants, and record investment in the billions.” Inbar also announced the expansion of the AWE Nite Meetup series to ten more chapter cities worldwide, and launched the Open AR Cloud (OARC) initiative, an idea first introduced at AWE USA 2018. 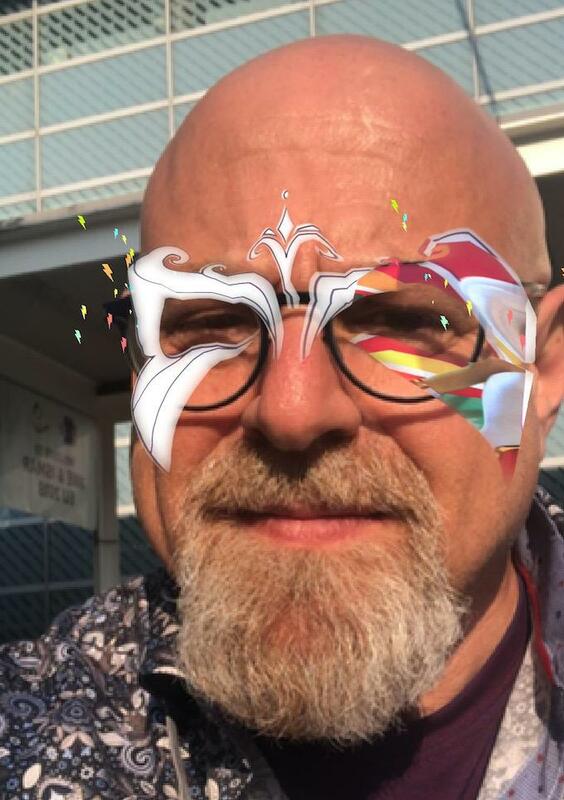 The inaugural Open AR Cloud working session focused on two core topics: the introduction of its “Privacy Manifesto for AR Cloud Solutions,” and an open discussion about the development of a shared searchable language for a single, unified AR Cloud. PTC announced new industry research with detailed findings of how augmented reality drives best-in-class performance in factory operations, service, and training. The report, compiled in conjunction with Aberdeen Group, identifies significant financial improvements realized by companies embracing augmented reality and provides best practices for unlocking the potential of AR across a variety of environments. 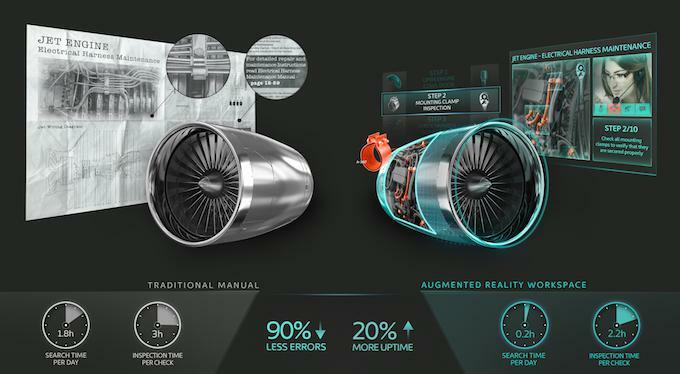 RE’FLEKT unveiled a new standard enterprise operating system, built on its REFLEKT ONE Enterprise Augmented Reality ecosystem for the industrial maintenance aftermarket. I wrote about BASF’s recent investment in RE’FLEKT here. Bosch is also an investor. Speaking of Bosch… they introduced a new AR solution for the automotive industry: an app that generates VIN specific wiring diagrams to help mechanics (they’re called technicians in the EU) diagnose and repair vehicles. Bosch’s proprietary CAP (Common Augmented Reality Platform) thus significantly reduces repair time. Entire Ubimax Frontline AR platform now works on the Vuzix Blade. 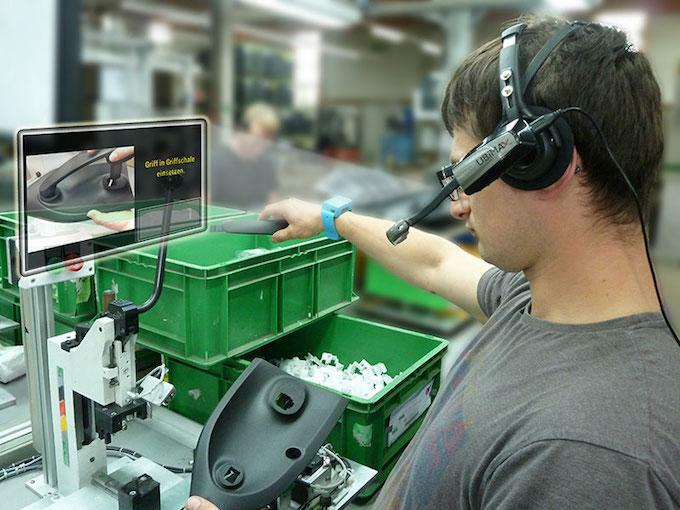 The Vuzix Blade’s commercial launch is accompanied by Ubimax Frontline AR software for enterprises. Existing Ubimax customers can upgrade to the Vuzix Blade Smart Glasses with a simple server update. The Vuzix Blade Smart Glasses have won multiple awards for their sunglasses style design and Ubimax Frontline solutions recently won the Auggie Award for “Best Enterprise Solution”. RealWear deploys HMT-1 hands-free wearable computers to 20 Colgate-Palmolive manufacturing sites. Employees of Colgate-Palmolive in 11 countries are now using RealWear HMT-1 wearables to enhance daily operations. The technology allows employees to engage with subject matter experts while keeping their hands free. The devices can also be used to capture and retrieve documents and videos. RealWear CEO Andy Lowery sees the deployment as a sign: “Industrial wearable computing has crossed the chasm into mainstream manufacturing companies”. Eyecandylabs enables augmented TV. Point your device’s camera at the TV and watch the whole room come to life. They announced the release of its augmen.tv SDK that allows advertisers, networks, and producers to incorporate the solution into their own apps. Visualix debuts new AR cloud localization system for factories and warehouses. German startup Visualix helps companies scan their own warehouses, factories, and stores to create maps for augmented reality navigation. The company introduced the Visualix Mapping and Positioning System, which includes a content management system along with the company’s Localization SDK, APIs, and AR cloud service. Companies can track individual SKUs, as well as anchor AR content in specific locations. The seed-stage company, newly out of stealth, told me at the end of the show they had scored a major deal. Most Innovative Breakthrough: Virtual Reality Vision Therapy VERVE (Virtual Eye Rotation Vision Exercises) by OculoMotor Technologies, others. At every large conference, I am completely floored by a random hallway demo. This year’s winner is Devar, which makes AR-enabled kids’ books for clients like Hasbro. Thanks to Devar’s CEO Anna Belova you for tracking me down to tell the story of this large 100+ NY based company I’ve never heard of. A China Scale VR Conference. At The WCVRI Nanching (Oct. 18th – 22nd), HTC announced new 6 DOF Controllers and showcased hand tracking for the coming Vive Focus. 4,000 delegates took part in the conference and over 250,000 ( don’t know how this number is possible) people saw the exhibition. The Chinese Premier spoke about the transformative power of VR. How this was not covered by the mainstream media eludes me. That’s a lot larger than the 182,000 visitors CES Las Vegas hosted in January 2018. I guess what happens in China stays in China. Why do I think that’s not a good thing? Oculus Quest sales projected to surpass 1 million units next year according to SuperData market analysis. “SuperData’s latest research and analysis points to the fact that 2019 will be the year of VR,” explained Stephanie Llamas, Head of XR at Neilsen’s newly acquired SuperData. Data points to the rapid growth of both location-based VR entertainment, and mobile AR applications. The momentum of VR is increasing and with the Oculus Quest projected to outsell the Rift in its launch year by more than 3 to 1. According to Superdata the Quest has the potential to push VR into the mainstream. I wouldn’t declare victory just yet. The Nintendo Switch sold twelve million units in the US last Christmas, that’s what VR needs to do. A couple of million units isn’t going to change anything in my opinion. Hope I’m wrong. Oculus Thinking About LBVR. Tech Radar shared some hiring news that indicates Oculus is finally making a move into location-based VR (LBVR). While the Rift has many fans, and many new free roam VR locations are using its headset with backpack PCs, it’s hard for me to see them unseating incumbent Vive systems in LBVR, especially the new wireless Vive Pro with enhanced room scale tracking. 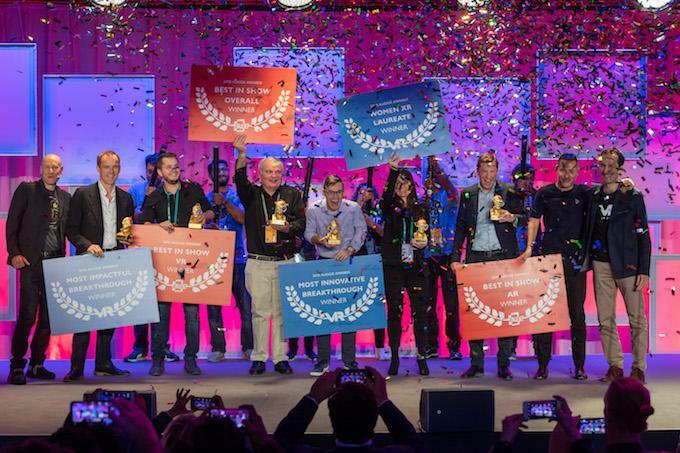 Also, Microsoft held an invitation-only mini-conference in San Francisco on this very topic last August, to help it evaluate its opportunities in VRcades and other public venues. Oculus is late to the party. NextVR announces 2018-2019 NBA viewing schedule. VR users on every major platform can now watch NBA games in VR. Viewers can watch their favorite NBA teams play from courtside seats, and now with Oculus Venues fans can sit virtually next to family and friends while watching the game. Need to see multiple games at once? NextVR’s Screening Room is a VR environment that showcases up to 13 live NBA games on a theater-sized screen. 26 of the games are scheduled for an immersive 3D VR broadcast experience. The first game of the season between Golden State and Denver is free on October 21. The company’s been at this for over three years, and they’re getting really good at it. But, like anything worth having, it’s not free. Subscriptions start at $6.99/game, but a season pass will run you $249. Users of Oculus Venues get the whole shebang for free. Go bowling with friends in VR free with new RecRoom update. Against Gravity, developer of free social VR game RecRoom, released another update this week adding bowling to their growing list of activities players can do together. Bowling in VR seems to be the logical next step after the success of Wii Sports bowling years back. Couple that with the fact that players on PSVR, Vive, Oculus, and WindowsMR can all group up and bowl together and the new Lone Shoe Lanes will be a busy place in VR. You have to have something to do in VR, otherwise, it’s simply a 3D chat room. Hopefully, that thing is something you’re already doing, so there’s minimal explaining necessary. Rec Room’s other offerings include Paintball, Ping Pong, Shuffleboard, Pool and more. Offered at the Internet’s favorite price: free. All good stuff – magnificent tech! All the ‘Realities’ will in themselves become common place and THIS is the Reality! What i do not understood is actually how you are not really much more well-liked than you may be right now. You’re very intelligent. You realize therefore considerably relating to this subject, produced me personally consider it from so many varied angles. Its like men and women aren’t fascinated unless it is one thing to accomplish with Lady gaga! Your own stuffs excellent. Always maintain it up!